The caring, experienced physicians at Eye Care Specialists provide comprehensive vision health services to all ages. Call 509-758-8811 or Click Here to request an appointment. About an hour of your time once a year can make all the difference when it comes to your eye health. An eye examination is not just a way to update your glasses or contact prescription; it is also a way to diagnose more serious disorders or diseases, from glaucoma and cataracts to high blood pressure and diabetes. Most adults require some form of vision correction, and almost a quarter of all children. For Children, poor vision could result in poor school performance, difficulty paying attention, difficulty in reading or writing, and even headaches. Children learn best when they see their best. For any age, the eye may be prone to diseases that may be easily treatable if they are found. 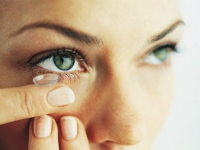 For many the option of contact lenses is an appealing option for correcting vision, without dealing with glasses. Contact lenses have evolved in to many options for all kinds of different eyes. Because eyes are so different for every individual, only a professional should be measuring your eye for the perfect fit for a contact lens. Our doctors have prescribed thousands of contact lenses, and our optical shop carries only top quality brands. Did you know that it is possible to catch early signs of diabetes through regular eye exams, and that diabetes can affect your vision? 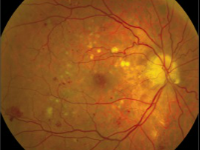 Diabetic retinopathy can be detected during an eye exam by an ophthalmologist or optometrist. An exam by your primary doctor, during which your eyes are not dilated, is not an adequate substitute for a full exam done by an eye care professional. People who have diabetes are also at increased risk for other eye diseases, including glaucoma and cataracts. 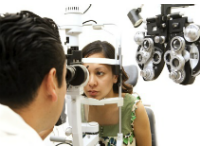 Regular eye exams can help detect these diseases early and prevent or delay vision loss. A cataract is a clouding of the natural lens inside the eye. Cataracts develop as part of the natural aging process of the eye. However, cataract development can be caused by or be speed up by previous eye surgery, injury, certain diseases, and even some medications. Cataract development usually does not harm the eye but causes blurry vision. Cataracts usually progress slowly over a period of years and in early stages, stronger eyeglasses or brighter light may help. As cataracts progress and the lens becomes more cloudy, patients often experience symptoms such as painless blurry vision, glare, and haloes around lights at night, double vision in one eye, need for bright light to read, and fading or yellowing of colors. Modern cataract surgery is highly successful with over 99% of patients regaining useful sight. Cataract surgery is performed as an outpatient surgery under local or topical anesthesia. Upon arriving at the surgery center, drops will be placed in your eye to dilate your pupil and an IV will be placed to administer a light sedative. 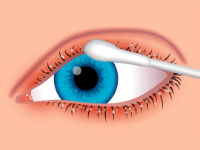 The skin around your eye will be cleansed a sterile drape will be placed. Under an operating microscope, the surgeon will make a small incision and insert an ultrasound-driven instrument that breaks up the cataract as the pieces are suctioned (aspirated) out of the eye. This technique is called phacoemulsification. 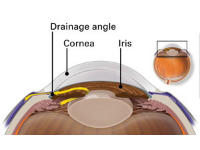 Then a small foldable artificial lens (intraocular lens, or IOL) is placed inside the eye. Today there are options for patients to consider in deciding on which intraocular lens is right for you. The choice of which intraocular lens is appropriate for you depends on several things like the health of your eyes, any other eye conditions you may have, and your desire to decrease your dependency on glasses. Eye trauma may not only be the eye, but also includes adjacent tissue and bone structure. Our doctors are local surgeons and always on call for emergency and eye trauma. From sports, to household accidents, to work place injuries, there are many hazards that could affect your vision (especially if not wearing proper eye safety equipment). The physicians at Eye Care Specialists have many treatment options for those with glaucoma, including medication, surgery and laser surgery options. In fact, our surgeons are proud to be certified in the placement of the iStent, the smallest implantable device ever approved by the FDA. It is estimated that three million Americans have glaucoma, but only about half know they do. Glaucoma is a leading cause of blindness for people over 60 years old. But blindness from glaucoma can often be prevented with early treatment. When glaucoma develops, usually you don’t have any early symptoms and the disease progresses slowly. In this way, glaucoma can steal your sight very gradually. Fortunately, early detection and treatment (with glaucoma eye drops, glaucoma surgery or both) can help preserve your vision. 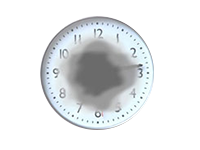 If you are experiencing any symptoms of macular degeneration, such as blurred/hazy or any loss of vision, it is important to schedule with your eye doctor as soon as possible. Macular degeneration can be classified as wet or dry. Unfortunately, at this time there is no single proven treatment for the dry form of macular degeneration, but it is still best to consult with your eye care professional. Wet macular degeneration, on the other hand, may be effectively treated with drugs such as Avastin or Eylea. Our doctors can administer these medications right here in Clarkston, so there is no need to travel for your treatments. In many cases, simply applying a warm compress or scrubbing the eyelid with a clean, warm washcloth will relieve the symptoms associated with blepharitis. Occasionally other treatments are necessary and your doctor may prescribe medications such as an antibiotic ointment. Sometimes people don't produce enough tears or the right quality of tears to keep their eyes healthy and comfortable. This condition is known as dry eye. Many medications, hormonal changes, or climate conditions can affect your eyes ability to make tears. In most cases, good quality preservative-free eye drops will alleviate the bothersome symptoms of dry-eye. If you are using artificial tears more than a few times a day, it is a good idea to consult with an eye doctor.